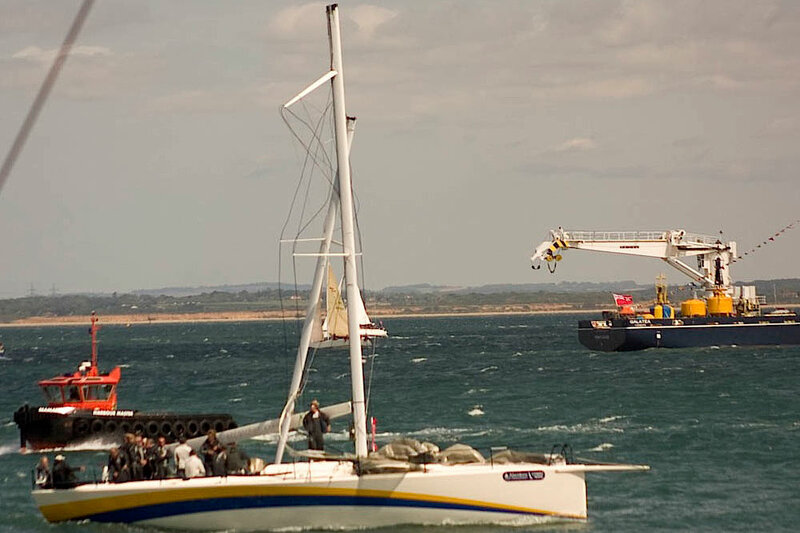 Rupert Holmes explains how to master wind against tide conditions and berth safely every time. 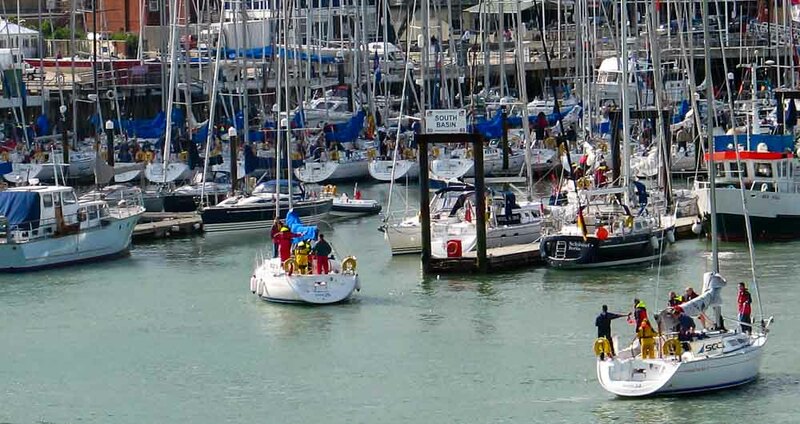 Manoeuvring and berthing in wind against tide conditions can be one of the biggest challenges for many skippers, but once you know the best ways of judging the conditions it can become surprisingly straightforward. 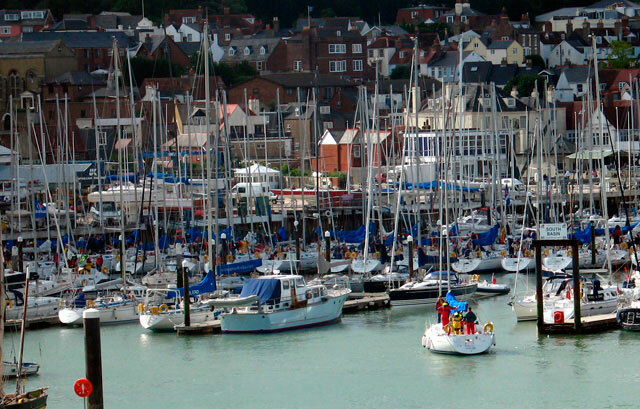 See also Marina berthing: 10 tips for perfection or How to be a successful skipper. The key to success is to make sure the tide always works in your favour and that you never allow it to work against you. While that’s very simple to state, it’s much more difficult to put into practice. 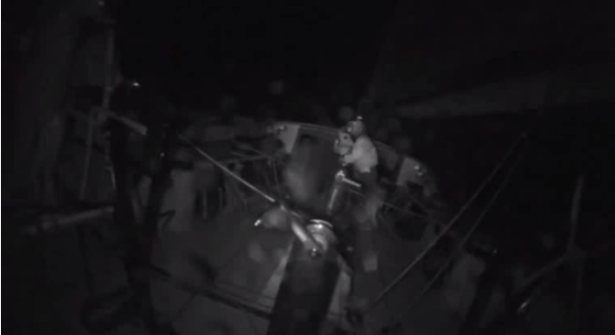 So what’s the biggest single mistake that skippers make in wind against tide conditions? The answer is simple: failing to appreciate the magnitude of the effect the stream has on the vessel. This point is so important it’s worth reiterating – given that the wind is much more obvious and easier to feel, skippers very frequently underestimate the strength of the tide and the effect it will have on their boat. This leads them to unwittingly break the first rule of manoeuvring in tidal waters: always point the boat into the direction of the stream. Don’t commit to entering a marina on a river or tidal estuary until you’re sure about the tidal stream you will encounter, noting that it may be different to the flow in mid-river. The temptation here is to point the boat into the tide to see what happens – is it pushed forwards by the wind, or dragged backwards over the ground by the tide? However, this is not the most accurate test. It’s better to present the boat broadside across the tidal stream, with just enough boat speed to maintain steerage. This will immediately make the effect of the tide appear much more pronounced. In marginal conditions, where this test shows the tide having only slightly more effect than the wind, the breeze will push you along too fast when you point the boat into the stream to approach the berth. However, in this situation you can actively slow the boat using a little reverse power, while still retaining steerage way. Heading into the tide like this, even in apparently marginal conditions, increases the speed of the water flowing over the rudder and keel for a given speed over the ground, which increases the amount of control you have over the boat. In addition, as this approach means the bow is pointing downwind you don’t need to maintain much speed through the water to keep steerage. 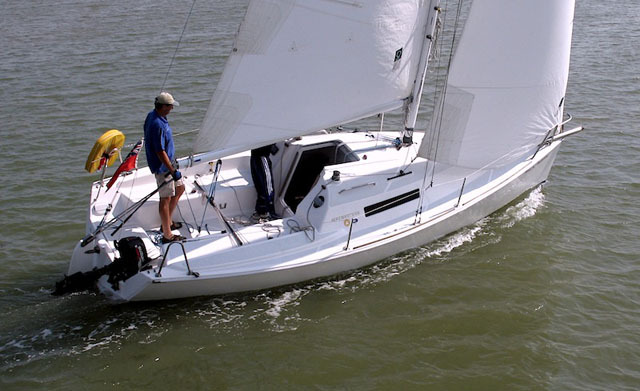 Just don’t be tempted to give big bursts of reverse, as that risks stalling the water flow over the keel and rudder. Contrast this with approaching in the other direction, with the stream behind you and facing into the wind. Here you would need more speed through the water to maintain steerage and prevent the breeze swinging the bow off course. To make matters worse, you also have the tide behind you – so the minimum speed over the ground needed to maintain control is considerably faster. That, in turn, leaves very little margin of error in your line of approach, with the risk that the manoeuvre could very quickly go horribly wrong. Therefore, if in doubt about what the strongest element is in a marginal wind against tide situation, it’s almost always best to assume the tide will win. 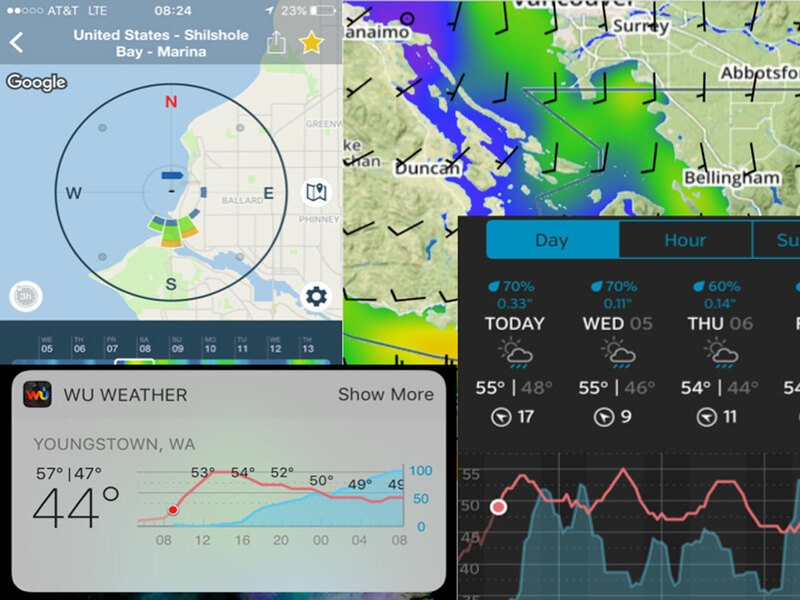 Turning the boat broadside across the channel at slow speed will tell you whether the wind or tide is the dominant factor in a marginal wind against tide situation. 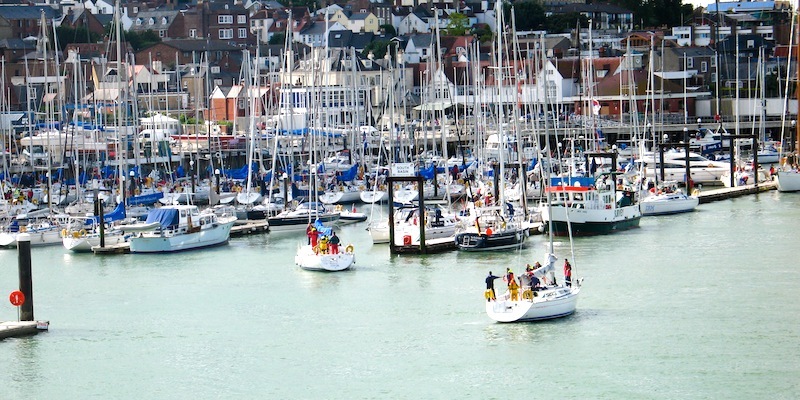 While you don’t always have the freedom to approach a berth from either direction, it’s important not to be tempted to approach a down tide marina berth unless the stream is very weak and you have enough experience of similar situations to be justifiably confident in your abilities. Your approach will need to be very parallel to the berth, which will require a sharp turn, bringing the bow up into the wind, and will need to be at a speed over the ground that gives sufficient steerage way to have control until the point at which a big burst of reverse power used to stop the boat. It’s easy to see how this approach might go wrong and, to make matters worse, with the tide behind it can be difficult to bail out successfully. 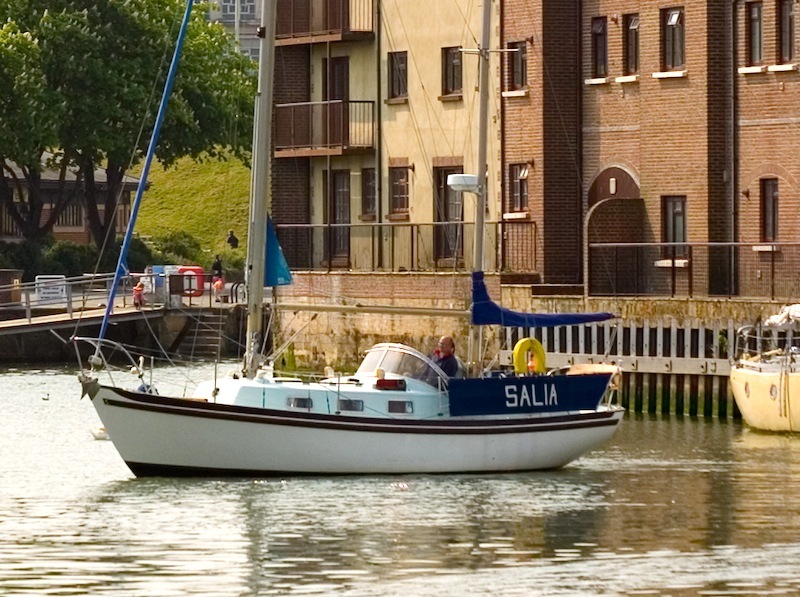 With many modern boats that steer easily in reverse it can be better to reverse into such a berth – although this would make achieving success arguably slightly more difficult on the first attempt, it’s much easier to bail out with forward power if it goes wrong. It’s easy to forget that tidal streams are not a constant – they fairly quickly change strength and direction, so a bit of patience is often rewarded. A berth that’s all but impossible to enter safely due to a strong tidal stream will transform into an easy one as soon as it changes direction. That means the best bet with a difficult berth can be to find somewhere easy to moor on a temporary basis for a few hours until the tide changes. It’s important to be aware that the stream near the edges of a river will reduce in strength and may even form back eddies, especially in the vicinity of bends or other obstruction. Having worked out your likely best approach, it’s therefore important to keep an eye open for changes in the stream, while allowing yourself space to bail out if the reality of the situation doesn’t meet your expectation. Another common mistake is to leave a marina berth without considering whether the stream will change as you move away from the shore. However, that’s easy to check by taking a short walk to the offshore end of the pontoons. This will give you a much better understanding of the strength and direction of the main flow of water than you will have in a berth closer to the shore. 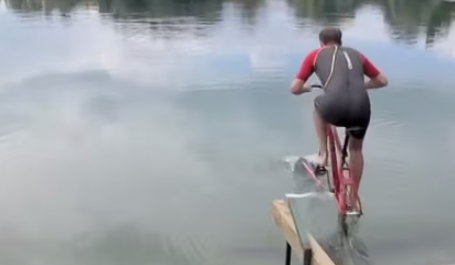 Hydrofoiling bicycle: who needs the wind?